Premiere Ratings: Three shows had their premieres this week on the broadcast nets and cable, and none of the three posted very strong numbers. On Thursday, The CW’s Vampire Diaries / The Originals spin-off Legacies had its debut and posted only a 0.3 rating based on same day viewing for the 18-49 demographic with 1.1 million total viewers. That may be okay for the fifth place network, but it doesn’t leave much leeway for slippage. On Friday, NBC’s supernatural drama Midnight, Texas returned for its second season (shifting from Summer to Fall), but only managed a 0.4 rating with 1.9 million total viewers. Even if you factor in taking a hit from World Series coverage, that is down notably from its Summer numbers in 2017 and low even for a Friday show. It would have to rebound to at least a 0.6 score with its next episode which seems unlikely, so that one will be starting out On the Bubble. On Syfy on Friday, Channel Zero started out its fourth season “binge run” with a 0.10 rating and 322K total viewers (on Sunday it also had a 0.10 rating and I have not seen the Saturday numbers yet). That is down from its third season average and that show’s ratings have been dropping since its first year. Syfy appears to be just burning off the fourth season episodes and isn’t even giving them a Prime Time slot (they are airing at 11 PM EST each night), so it appears this will be the final season for the show. Ratings Results of Interest: On Sunday, it appears quite a number of people unfriended God Friended Me for a night as that one dropped 42% to a 0.7 rating with 6.9 million total viewers. But it may have been impacted by World Series coverage, so we will see if it rebounds next Sunday. Over on AMC, The Walking Dead improved slightly from last week as it posted a 2.0 rating with 5.1 million total viewers. Despite its ratings woes, it remains the top scripted series on cable. On BBC America, Doctor Who improved to a 0.32 rating with 900K total viewers as the show continues to do well in Jodie Whittaker’s first season. On The CW on Sunday, Supergirl held steady with last week at a 0.4 rating, but Charmed dropped to a 0.3 score. That may still be okay for the fifth place network on Sundays, but it can’t slip much further. Over on Disney, Star Wars: Resistance held at a 0.08 rating with 383K total viewers and that could be okay if it is selling enough toys. On Friday CBS’s MacGyver slipped to a 0.6 rating with 5.9 million total viewers, but it may have been impacted by World Series coverage. Over on Syfy, Z Nation improved to a 0.13 rating with 400K total viewers and Van Helsing improved slightly to a 0.10 rating with 416K total viewers. Both of those shows are barely hanging in at the moment. On Thursday, The CW’s Supernatural slipped to a 0.4 rating with 1.9 million total viewers, but that show is safe as long as its leads want to stick with it. On Wednesday, Riverdale improved to a 0.5 rating with 1.4 million total viewers and that one is looking like a lock for a fourth season at this point. On FX, American Horror Story slipped to a 0.90 rating with 1.8 million total viewers, but it is still one of the top-rated shows on cable. On Tuesday, USA’s The Purge took a drop to a 0.32 rating with 931K total viewers. But if it rebounds and finishes out its first season strong, expect it to come back for another year. Over on The CW, The Flash held steady week over week and Black Lightning improved to a 0.4 rating with 1.2 million total viewers. If the latter show holds in that range, it could live to fight on for another season. News Roundup: FOX has announced it mid-season premiere dates which includes several shows of interest to genre fans. The Orville returns December 30th immediately following football then shifts to its regular Thursday slot on January 3rd. Gotham will join that one for its fifth and final season on that Thursday as well. New series The Passage debuts on January 14th at 9 PM EST and Cosmos: Possible Worlds is set to bow on March 3rd. In sci fi TV development news, a Star Trek animated comedy is in the works from Rick & Morty creator, BBC and Netflix are working on a Dracula series with the creators of Sherlock, a spin-off from the supernatural series Grimm is in development at NBC. More on those at this link. Below is the status of all the currently airing shows or those still awaiting word on their fate. This does not include streaming shows, unless there is information worth mentioning, because there is typically too little data available to gauge their fates. You can click through to the show pages to see week-over-week ratings results (where available) and find out more information about the series. You can see the status of all the currently airing and returning sci fi TV shows at the Cancellation Watch Page. American Horror Story (FX, Status – Renewed): This show has returned with decent debut numbers for its eighth season and remains one of the highest rated cable shows on television. FX has already renewed it through its tenth season and could keep it around longer if it continues to draw strong viewership. Arrow (CW, Status – Renewal Possible): This show has returned down a bit from last year’s numbers and it is almost certainly looking at wrapping up sooner rather than later. Whether it comes back for an eighth season depends on how The CW decides to proceed with its Arrow-verse shows. Black Lightning (CW, Status – Renewal Likely): The numbers are down for this show in its second year and it will not have too many episodes under its belt by season end. The CW prefers to renew shows rather than cancel them, but with the waning popularity of its superhero entries, this one could be the first casualty if its ratings remain low. Channel Zero (Syfy, Status – Cancellation Likely): By all appearances, this one looks to be a dead show walking. Its ratings have been on a continual decline across its first three seasons, and now Syfy is burning off the fourth season across six consecutive nights and outside of Prime Time. The show has stirred up some good buzz and has picked up a small but loyal following, but Syfy has been in the cancelling business of late and it looks like this one could be the next to fall. Fans could try to make some noise on the social nets to see if another venue might be interested in picking the show up. Charmed (CW, Status – Renewal Possible): The CW might have hoped that this would have been their next big thing, but the early ratings are not that good. Still, it is performing well enough in its highly competitive Sunday night timeslot and should charm its way to a second season if it does not slip any further. Doctor Who (BBCA, Status – Renewal Likely): This show is off to a strong start with the thirteenth Doctor (played by Jodie Whitakker) drawing in plenty of viewers to see the first female lead for the series. The numbers have slipped now that the curious onlooker effect has passed, but expect this show to stick around for several more years. The Flash (CW, Status – Renewal Likely): The momentum for this one has slowed some with its continued ratings declines, but it is still the network’s top-rated show and it should race right into a sixth season. The Gifted (FOX, Status – Renewal Possible): This show is at series low numbers and it is not getting the same lift from delayed viewing that it was seeing last year. FOX owns the show and it is part of the X-Men franchise, but at these levels it has to be counted as On the Bubble and fans should take to the social networks to try and give it a boost. God Friended Me (CBS, Status – Renewal Possible): This show is doing quite well for CBS on highly competitive Sundays (blame this week’s drop on the World Series) and has ranked in the Top 25 based on total viewers each week. If it can continue to post good total viewers stats (older-skewing CBS tends to give more weight to those numbers), then it may survive to a second season. The Good Place (NBC, Status – Renewal Possible): This show returned down from its second season average, but it is still doing well enough for an NBC show on Thursday nights. If it does not slip too much, it should be okay. Into the Badlands (AMC, Status – On the Bubble): This show wrapped up the first half of its third season in June and there is still no word on when it will be back, leading me to wonder if AMC has given up on it (more on that at this link). Its ratings are down over fifty percent from its second year and it remains firmly On the Bubble at this point. Fans should definitely make a Call to Action on the social networks to show that it has a loyal following. The Last Ship (TNT, Status – Final Season): This show has had a decent run for TNT, but its numbers have dropped off the last couple of years. The network did decide to bring it back for a fifth and final season to give it a chance to wrap up its storylines. Legacies (CW, Status – Renewal Possible): This one did not get off to a strong start, though that has to be expected because the popularity of its parent series The Originals had already been on the decline. It still has a chance because it airs on The CW, but I believe it will need to improve its numbers to stick around beyond its current season. Legends of Tomorrow (CW, Status – Renewal Possible): This show has started out its fourth season at series low levels, but I believe it is still safe for now. This is the one that can pick up characters from other Arrow-verse shows if the network decides to start trimming down on those. Plus, once a show gets through its third season on this network it usually sticks around for at least 70 episodes (it will be just shy of that at the end of this year), and one more full season gets it to a syndication friendly count of episodes. MacGyver (CBS, Status – Renewal Likely): This show has returned down from last year’s numbers, but that likely will not matter. It is owned by CBS and it will have three full seasons after this year, so it is worth it to the network to keep it going at least one more season to get it to the episode threshold the syndication market prefers. Also, it plugs up and hour on low-viewership Fridays. Manifest (NBC, Status – Renewal Possible): This one pulled very strong numbers for its series premiere and has experienced only a modest drop since then. If it can hold at or above a 1.5 ratings average, then it will almost certainly fly right into a second season. 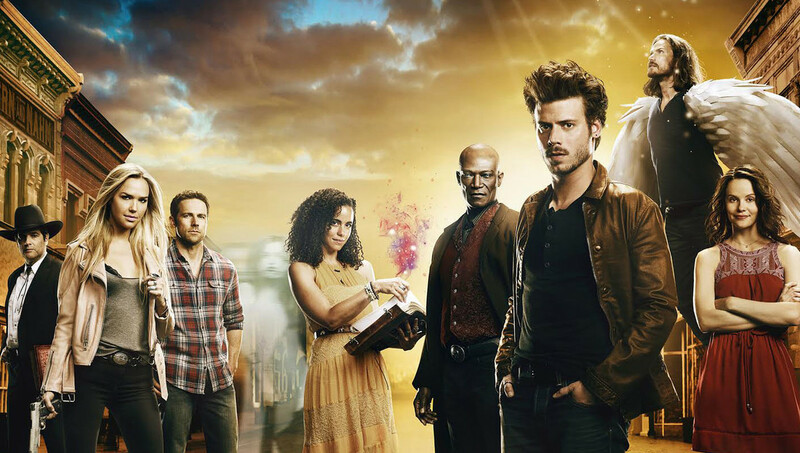 Midnight Texas (NBC, Status – On the Bubble): This show performed relatively well for a Summer entry when it debuted in July of last year, but shifting it to Fridays in Fall has done it no favors. It has started out as one of the network’s lowest rated shows and I am placing it On the Bubble. I know this one had a pretty dedicated fanbase in its first season, so they need to make some noise on the social nets if they want it to stick around. The Purge (USA, Status – Renewal Possible): The debut numbers for this show were good, and it has not suffered too much from the loss of curious onlookers after the first episode. USA has billed this one as a “10-Episode Television Event”, but if the ratings hold around current levels the network may extend that. Preacher (AMC, Status – On the Bubble): This show has wrapped its third season with ratings down by close to 40% from last year and I already considered it on iffy ground then. I have it On the Bubble and fans should definitely take to the social networks if they want this one to survive to a fourth season. Reverie (NBC, Status – Cancellation Likely): This show has wrapped up its first season and is now awaiting word on its fate. It was originally planned for a mid-season start, but was pushed on the schedule suggesting that the network lost faith in it. Its numbers were pretty low even for a Summer entry, and it didn’t seem to generate much activity on the social networks. If there are any fans out there, they need to make some noise on the social nets RIGHT NOW to draw attention to the show, otherwise it seems certainly set for a date with the Network Executioner. Riverdale (CW, Status – Renewal Likely): This show has returned about on par with last year’s numbers and it tends to get plenty of attention on the social networks. It also performs very well in its encore runs on Netflix and is on the verge of the syndication stretch. Expect it to be back for at least one more season if not more. Salvation (CBS, Status – On the Bubble): This show’s numbers remained low through its now completed second season as do it chances of surviving to a third year. It has a streaming deal that likely makes it profitable for the network, but CBS may prefer to fill the hour with something that will draw more viewers watching live. I consider it firmly On the Bubble as we wait to hear word on the show’s fate. Star Wars Resistance (Disney, Status – Renewal Possible): This show’s numbers are on the low side, but then animated series tend to live and die more by their merchandising than overnight ratings results. This one could stick around for a few seasons if it sells enough toys. Supergirl (CW, Status – Renewal Possible): This show returned close to last season’s average and has also done quite well for The CW’s first foray into Sunday night programming in a decade, especially considering how competitive that night is. If it doesn’t drop too much in the coming weeks, and if the network remains committed to its Arrow-verse shows, this one should soar into a fifth season. Supernatural (CW, Status – Renewal Possible): This venerable genre entry has returned even with its average from last season and it remains one of the better-rated shows on The CW. The network boss has already said that this one will continue as long as the lead actors want to stay with the show, so whether it has a fifteenth season is largely up to them. Van Helsing (Syfy, Status – Renewal Possible): This show’s numbers dropped notably with the last couple of episodes and it will find itself in trouble if they do not rebound. Since it is a third year show not owned by Syfy (the network tends to cancel those, more on that at this link), it needs to keep its numbers at least at or above the prior-season levels (it is currently below that) and fans need to make some noise on the social networks supporting it. The Walking Dead (AMC, Status – Renewal Likely): This show is now down to series low levels and its ratings woes have caused AMC’s stock to slip. It is still one of the highest-rated series on television, but network bosses won’t like the fact that it is dragging down the stock prices. It won’t be cancelled this year, but it may be ending sooner rather than later which I look at in more detail at this link. Z Nation (Syfy, Status – Renewal Possible): This show has slipped to series low levels, but it may still be on track for renewal. It is inexpensive to produce and a sixth season gets it to a good episode count for a syndication run, so it could stick around another year. But fans should probably take to the social networks to show some support and to boost attention.